Westborough, MA, May 2nd, 2019. 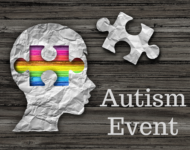 Patricia Lemer, author of Outsmarting Autism, will discuss ways to build healthy foundations, autism identification, treatment, and prevention from pre-conception through adulthood and 50 practical approaches that cover lifestyle modification, dietary considerations, and boosting the immune system. After health improves, focus turns to developing the sensory foundations for communication, social skills, and learning. About the speaker: Patricia S. Lemer is a licensed professional counselor, holding a Masters of Education in counseling and learning disabilities from Boston College and a Masters in Business from Johns Hopkins University. She practiced as an educational diagnostician for over 40 years. She was a co-founder and served as Executive Director of the international non-profit organization Developmental Delay Resources.